Making Tofu From Scratch and a Tofu Dinner Party! 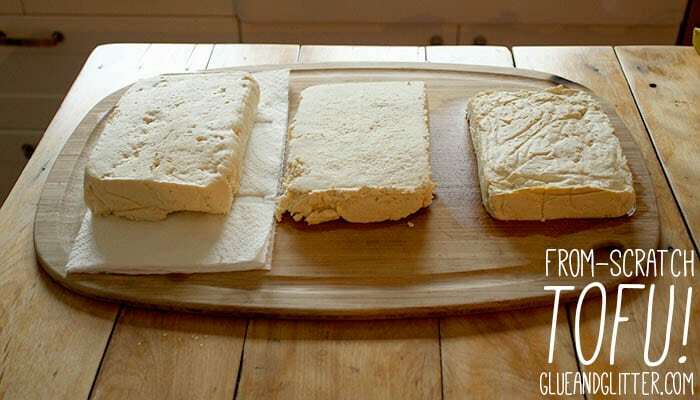 We made tofu from scratch yesterday, and it was delicate, slightly beany, and super delicious! I could have eaten it all on its own, but instead we whipped up a three-course tofu feast! From left to right, that is soft, medium, and firm tofu. I’d never successfully made homemade tofu before, and it took a little bit of research to sort out what all needed to happen. Some friends and I tried making tofu from scratch once before, and it didn’t go very well. 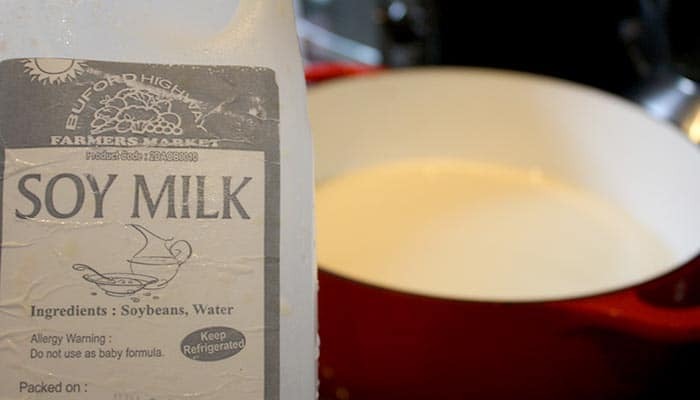 That time, we started from the soybean, made soy milk, then curdled and pressed it. It was a lot, you guys. And because there were so many steps and we weren’t sure where we screwed up, it was a little bit frustrating. It also took 10 hours and yielded zero tofu. Instead of going through all of that again, we started with store-bought soy milk. The thing about going that route is that you have to read the ingredients. You need a soy milk that’s just soybeans and water. Making tofu involves a lot of heating and stirring! Also, waiting. Soy milks with additives might not curdle the way you need them to, and I can’t guarantee that they will work out. This time around, we also used the Soya Joy Tofu Making Kit. It comes with the mold and a packet of nigari. Nigari is a salt that acts as a coagulant. To make tofu from scratch, you basically curdle soy milk, and press those curds into a block shape with the mold. From what I hear it’s a lot like making ricotta cheese. You add nigari to curdle the soy milk, then press the extra water from the curds in a mold like this one. Because we started with soy milk, the directions that came with the kit were not much help. They want you to start with “two batches” of soy milk from their soy milk making machine. We did not have this machine, so we were kind of stuck. 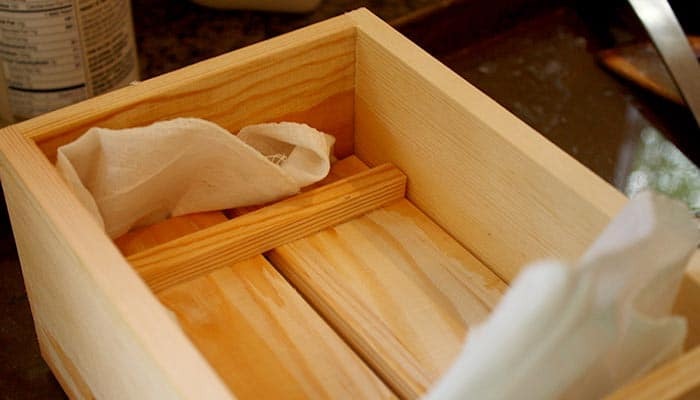 After a lot of googling, Kip and Bonnie found this article on making tofu from Splendid Table. The thing is, since we bought soy milk already made, we still didn’t know how much to use with how much coagulant. After a lot of failed search attempts, Kip ended up buying a digital copy of Asian Tofu, the book by the Splendid Table article’s author. If you want to make tofu from scratch, I highly recommend this book. It was a huge help! In a large bowl, combine the kale, carrots, vinegar, oil, lemon juice, and salt. Get in there with your hands, and massage until the kale is nice and wilted. Fold in the remaining ingredients, and serve as-is or chilled. Wow, I am so impressed that you made your own tofu. I don’t think that is an endeavor I will try any time soon. I am loving that salt and pepper tofu! 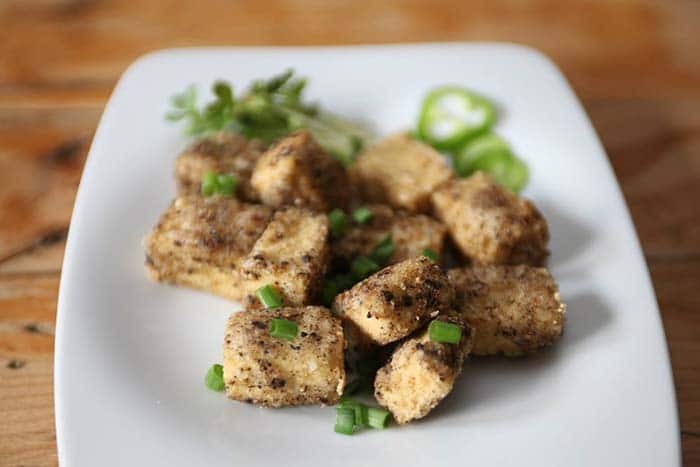 Isn’t Kip’s salt and pepper tofu gorgeous? There is Chinese five spice powder in the crust. So good! 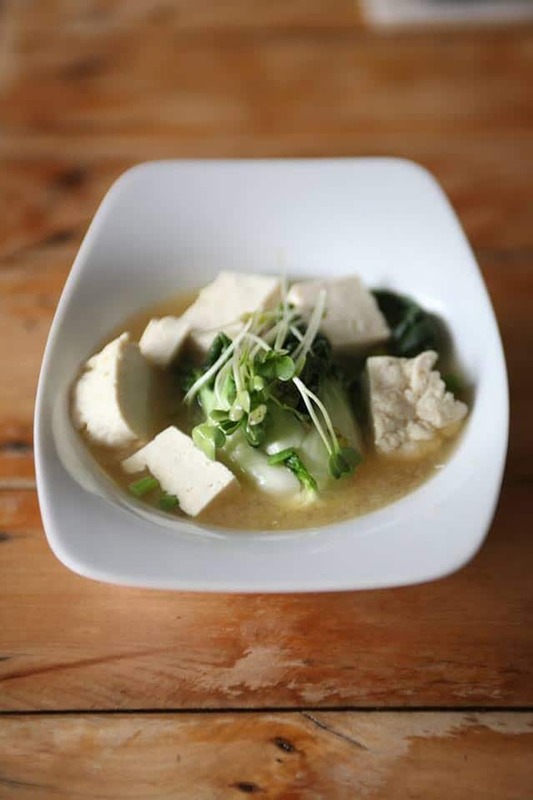 I once took a class in making tofu and it seemed reasonably easy, and the result was good â€” beany tofu that was very tasty. Unfortunately, I never ended up making it myself. We have a lot of tofu shops here that sell both plain soymilk and fresh tofu but I still think it would be better to make my own and be assured it came from non-GMO beans. Looks like your experiment was very successful. Do you think you’ll continue to make your own tofu? That sounds like a fun class! I think I’ll do it from time to time but not weekly by any means. Kudos to you for making an attempt! Awesome job! Thank you! I’m glad we didn’t let that first time put us off. It went to well this time! How cool! I’ve made my own soy milk before but never tofu. 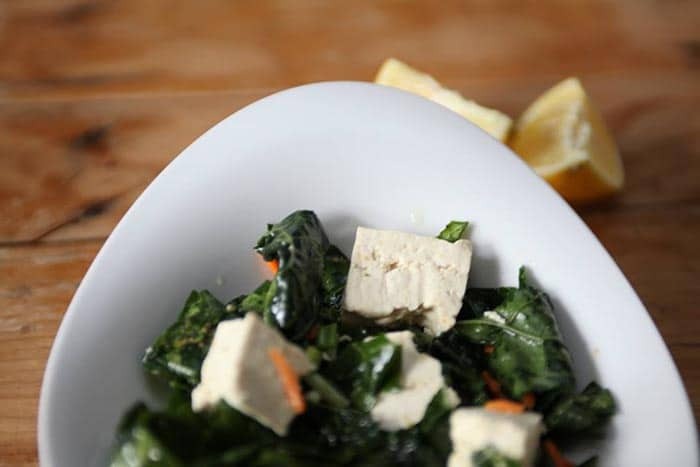 Did you notice many differences in the fresh versus your standard issue tofu? Thank you! I did. It tasted a little but beanier to me (in a good way! ), and the consistency was a little more velvety. I’d definitely do this again, but I’ll still buy tofu from the store, too.